David Batchelor's work is concerned above all things with colour, a sheer delight in the myriad brilliant hues of the urban environment and underlined by a critical concern with how we see and respond to colour in this advanced technological age. His studio is a treasure trove piled high with an endless variety of fluorescent plastic objects - clothes pegs, fly-swatters, buckets, spades, children's toys, empty bottles of household products - found in pound shops and markets in cities the world over. He combines these everyday items with a range of light-industrial materials: steel shelving, commercial lightboxes, neon tubing, warehouse dollies, acrylics, plastics and so on to produce extraordinary installations which exalt the ordinary and celebrate the lurid and trashy whilst being, in themselves, often mesmerisingly beautiful. Batchelor was born in Dundee in 1955 and lives and works in London. 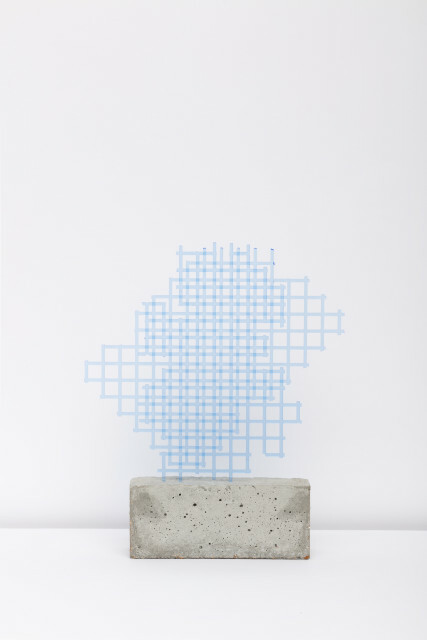 In 2013, a major solo exhibition of Batchelor’s two-dimensional work, Flatlands, was displayed at Fruitmarket Gallery, Edinburgh and toured to Spike Island, Bristol. Batchelor’s work was included in the landmark group exhibition Adventures of the Black Square: Abstract Art and Society 1915 – 2015 at Whitechapel Gallery, London. A separate exhibition of Batchelor's Monochrome Archive (1997-2015) was also on display at Whitechapel Gallery until May 2015. Batchelor’s portfolio includes a number of major public artworks including a commission for the British Council headquarters in Hong Kong, a site-specific work for the McManus Galleries in Dundee, a 10-metre high light installation at the Archway Tube Station in London, and a major commission for St. Pancras International Station entitled Chromolocomotion. Batchelor has written and edited a number of books including The Luminous and the Grey (2014), Found Monochromes (2010) and Colour (2008) and Chromophobia (2000).